The Pakistan Software Houses Association for IT and ITES (P@SHA) was initiated by a number of software houses in an attempt to create a functional trade association for the IT industry in Pakistan. Aiming to protect the rights of its members; P@SHA lobbied with the government to initiate policies and create an environment that would attract more firms to join the industry. Over the course of the last fifteen years, P@SHA has broadened its scope to include other IT enabled services companies such as Internet Service Providers, Call Centers etc. 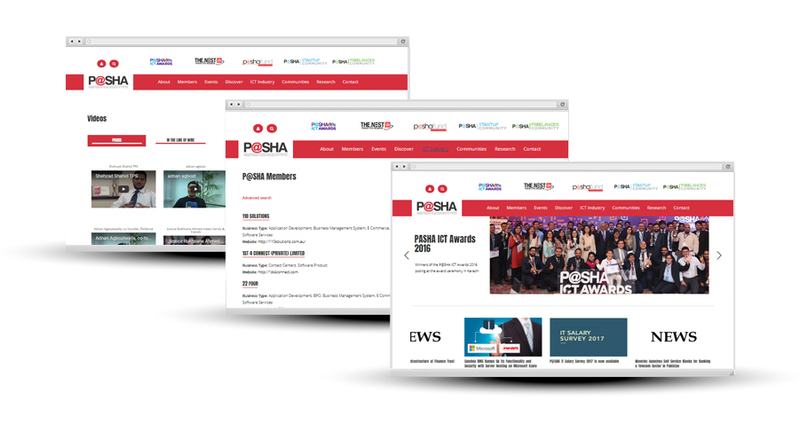 What inspurate did for P@SHA was to revamp their online website on a brand new design, giving them a new professional look. The platform was built on a robust PHP/MySQL based framework, that allows scalability as the organization grows.